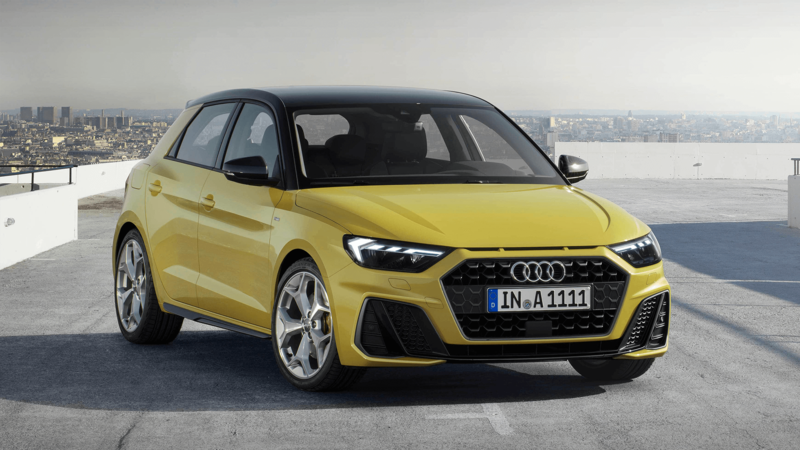 It may be the smallest model in Audi’s range, but Audi have big plans for the A1. 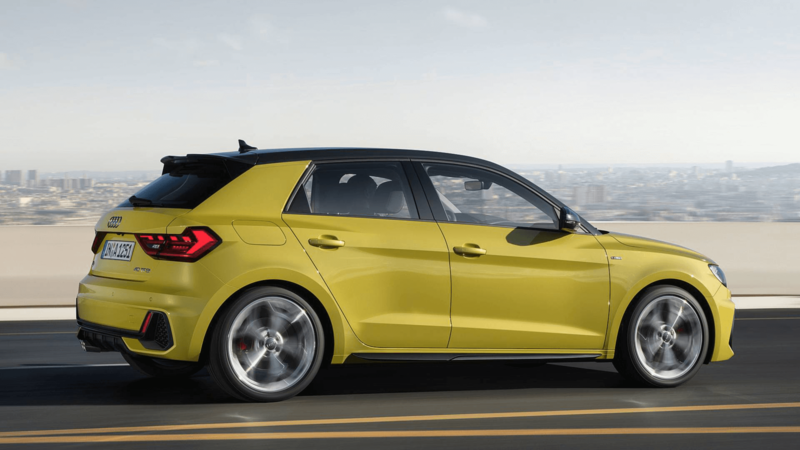 With launch due November 2018, Audi will be releasing a new model to tap further into the hot hatch market. 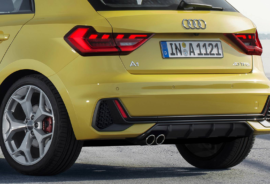 The A1 has been a strong seller for Audi over the last decade. The outgoing model is Audi’s third-best-selling model in the UK; annual sales in Europe have only once dropped below 90,000 units since its launch in 2010. 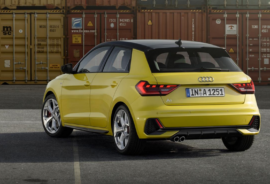 The new Audi A1 will be one of the first in VW Group to not have a diesel engine available. 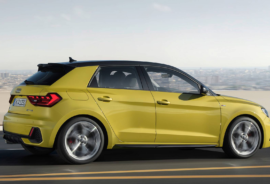 All engines can be paired with either a manual gearbox or the seven-speed S tronic dual-clutch transmission, with the exception of the 40 TFSI variant, which uses a six-speed S tronic transmission as standard. The A1 looks like it has been to the gym; the overall shape is very similar but now it is much more defined and toned. The most dramatic change in appearance is at the front of the car. Audi’s new grille design parallels that seen on the A6 and A8. The outgoing model looks a bit soft in comparison; a wider grill, aggressive front bumper, large air vents and straight coach lines, help to create a pugnacious face. The sharpness on the outside of the car is perfectly mirrored on the inside. It looks an incredible space to drive. The overall feel of the design is sharp and many of the smooth simple shapes have evolved into a overall more visually dynamic appearance. The centre console looks less busy, buttons are smaller and much more spaced out. But mainly, the addition of the large touch screen creates a well balanced area. Perhaps most impressive is the way the trim shapes the driver as the focal point of the car, whilst maintaining a reasonable sense of space for a small car. You can expect to be able to choose from a variety of bright trim pieces and interior upholstery colours, including leather. Everything is focused on functionality for the driver. The 12.3-inch digital instrument binnacle can transform into a huge map display at the touch of a button. Small ergonomic detail, such as the angle of the infotainment screen, have been well thought out to make it an easy place to drive. For the baby of Audi’s range, its still very clever. 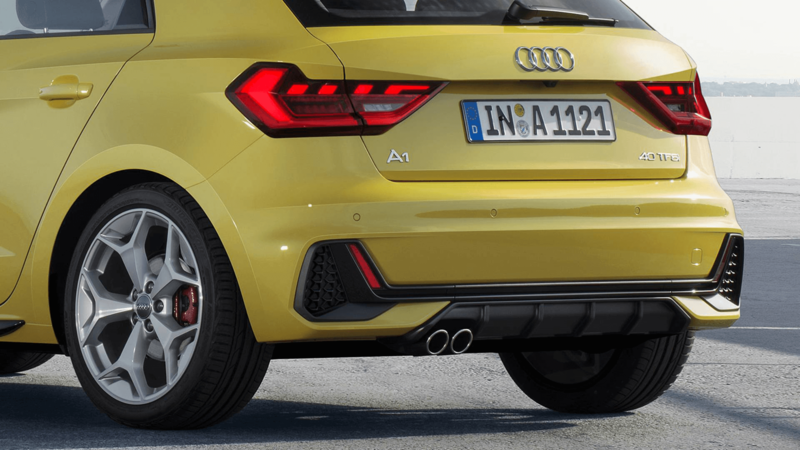 The new Audi A1 will offers some impressive cutting edge technology. Apple Carplay and Android Auto come available as standard, and options include the likes of a 360-degree view parking aid. The A1 will boast the same MM1 touchscreen infotainment system found in the A8. It gets an 8.8-inch sat-nav screen (the old car has a 6.5-inch display) with the option to upgrade to a 10.25-inch screen. 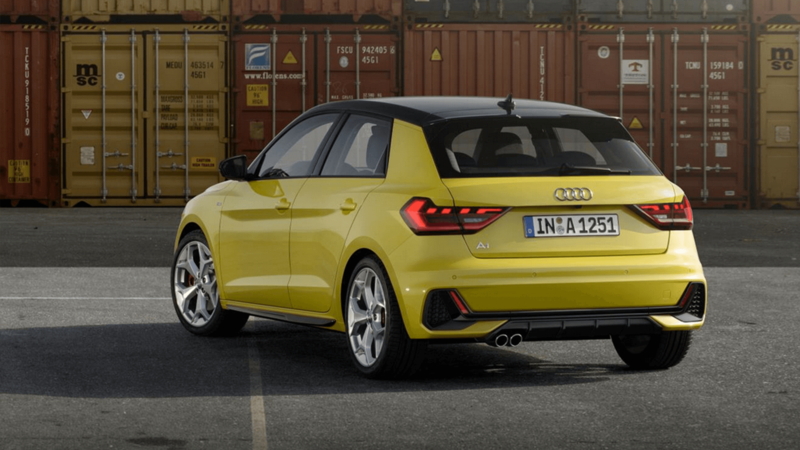 The new Audi A1 is only available as a 5 door and has grown in size. Particularly for rear passengers, leg room will have noticeably increased. However at 4,030mm long, it is only half a metre bigger than a Fiat 500. Thus parking this hot hatch should be easy even for the most challenged of drivers. Boot space has also increased to 335 litres, and folding the rear seats extends that capacity to 1,090 litres. Audi have made no official statement on the price, neither on CO2 emissions. However, many expect the entry model to be a similar price to the current model, which starts from £15,500. We will have to wait a little longer to find out how suitable the A1 is for a fleet. Whether your registering a new vehicle for your business, or purchasing it for yourself, AMI can find the finance solution that best suits you. To find out more about how to finance a brand new vehicle, see our contracts.